What Does a Real Estate Lawyer in Atlanta, GA Do? Lawyers that practice in property/real estate law vary from firm to firm. 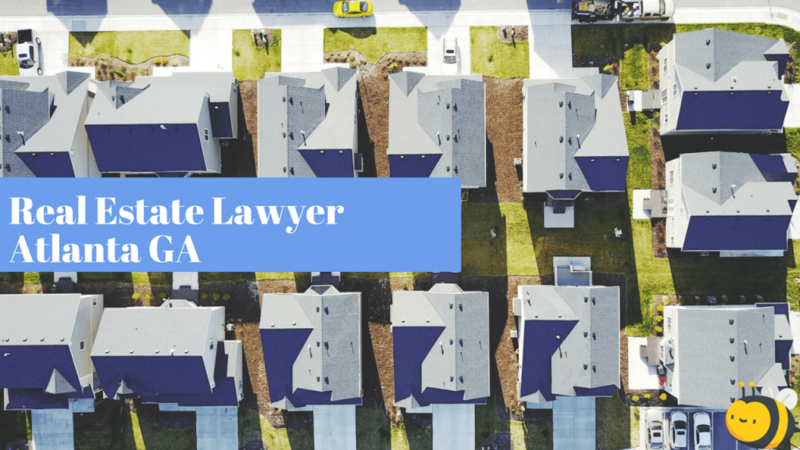 It’s a broad area of law that include several different niches, so knowing exactly what a real estate lawyer Atlanta GA does can sometimes be difficult to pinpoint. So we’ve made a short (but not complete) list of some of the most common services those lawyers provide. The closing process of purchasing a home includes more than just a review of documents to cross some T’s and dot the the I’s. Your real estate closing attorney will be reviewing title and preparing an opinion on it in order for you to receive title insurance. (Title insurance is typically mandatory for your lender). Your real estate lawyer Atlanta, GA will also act as a coordinator— think of them as the puppeteer for your closing. They make sure everyone is in communication and moving the closing along in a timely fashion. I’m sure everyone is aware that buying and selling a house comes with a ton of paperwork that’s stuffed with confusing language. Your closing attorney will also assist in explaining and reviewing these documents with you. They’ll be able to explain what a deed is or explain loan documentation. Finally, your attorney will literally close out the transaction and distribute money to all appropriate parties. This includes checking the local registry to update the title and records the deed/deed of trust. They will then give a final opinion to your title company and disburse money to pay the title company, county fees, and other fees associated with the transaction. Your real estate lawyer is in charge of tying up any loose ends in your property purchasing process! A landlord tenant lawyer typically helps in the eviction process, on either the landlord or tenant side; they can assist landlords on rental agreements, or maybe your landlord withheld your security deposit from you illegally. A landlord tenant lawyer is able to assist in many ways, for both renters and landlords alike. Consulting with a lawyer before you place an ad for your rentals could help you avoid breaking any laws in the Fair Housing Act. Typically residential real estate deals won’t call for a lawyer to help with negotiations because they’ll have the aid of the real estate agent. However, this can be more common with investors or large commercial deals. A real estate lawyer, typically, is well versed in negotiations due to taking classes on the very subject during their law school career. Your real estate lawyer could also have experience with all kinds of contracts and deals, making them aware of the in’s and out’s of the trade that the usual layperson would be unaware of. And simply having professional help when making an investment is never a bad idea! Many first-time home buyers are turning into first-time home builders. Many Millenials are opting to purchase new construction homes. This comes with its own set of legal issues and services that some real estate lawyers in Atlanta, GA provide. 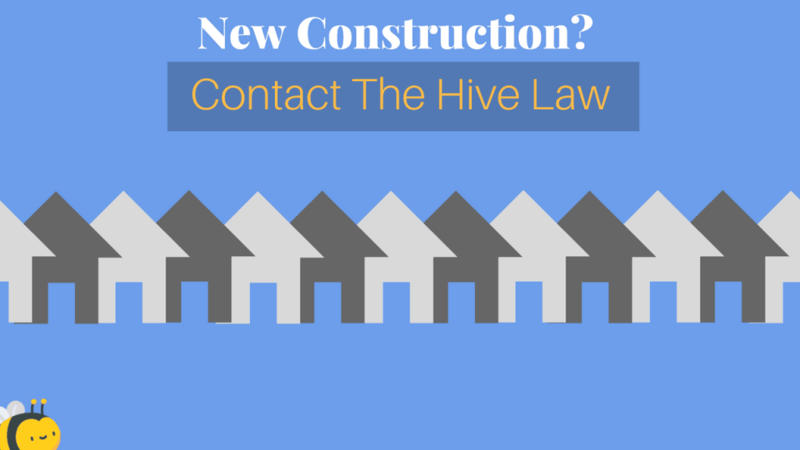 Your lawyer will review the contract with the builder-seller to try and save you from any legal troubles or constructional defects. 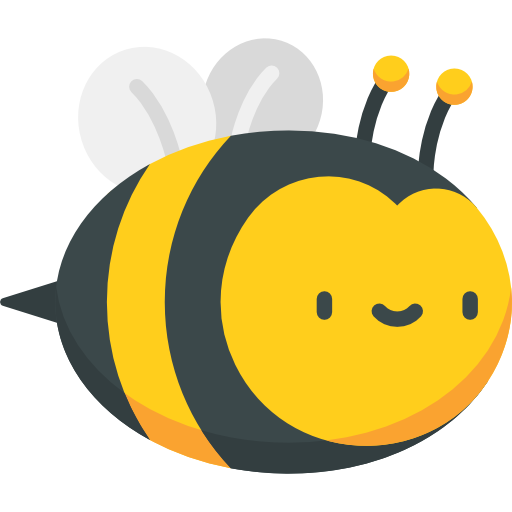 They’ll make sure to look out for your best interests and explain whatever parts of the contract you don’t understand. Your real estate lawyer can also provide you with recourse in the event of home defects. In most states, the builder-seller is responsible for providing a home with reasonable workmanship and habitable. And in some cases, your attorney might also negotiate with the builder-seller to include “new-home” warranty. This is basically a home warranty that includes defects and repairs in a new home– think defected floor finishes or a defected roof. The foreclosure process can be terrifying, especially when you want to try and fight against the foreclosure. In times like these, we recommend at least consulting with a real estate foreclosure attorney. If you have a defense and you want to keep your home, finding a great attorney to help you is very important. They can help you prove that the foreclosing party didn’t follow the correct procedures, which can result in a dismissal. They can also help you show that the foreclosing party doesn’t actually own your loan– this means that they have no legal right to foreclose on you! 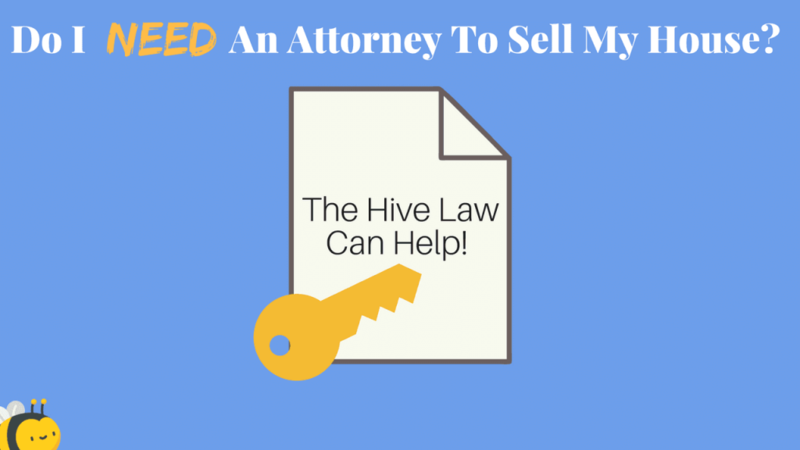 Do I Need An Attorney To Sell My House? When selling your home in Georgia, you’ll use an attorney rather than a title company when it comes to real estate transactions. A Georgia Supreme Court order says that the closing attorney must be in control of the closing procedure and processes from beginning to end. Be mindful, though, that the closing attorney does not represent you or the buyer. They are not “your” attorney, technically speaking. Rather, they are working for the lender to ensure that this real estate transaction is completed efficiently and correctly. This does not prevent each side from bringing their own attorneys to the closing table, though. This will be an extra cost on your end, though. But sometimes it’s worth it! As for who pays for the closing attorney, it typically falls on the buyer’s shoulders (along with the bulk of other closing costs). This is definitely something to be discussed before the end of the closing! The most common landlord and tenant disputes are evictions, but I’m sure you already knew that. Regardless of which party you are (landlord or tenant), you should be aware of what the eviction process looks like in Georgia. Evictions typically take place whenever a tenant fails to pay rent. In Georgia, the landlord can send you an eviction notice even if you’re late paying rent by one day. Typically this doesn’t happen, but it is legally allowed. [Market_state] does not have a set time-limit the landlord must wait before moving forward to file the eviction lawsuit; however, best practice is to wait about three days. Sending an eviction notice can be tricky. You want to make sure the tenant has seen the notice and cannot claim it was never sent or given to them. In Georgia, you technically don’t even have to give a written notice. This is definitely not recommended, though. Giving a written notice is the best way to ensure you have proof of your notice being sent and received. The landlord personally gives you the written notice. The eviction notice is posted on the property, such as the front door. If you have received the eviction notice, you have some options yourself. If you pay the rent and whatever extra charges that are tacked on for being late within a week, the landlord has to stop the eviction lawsuit in its tracks. You can move out and hope that the landlord just uses the security deposit to cover the rent. However, they can still come after you for other money you’d otherwise owe them. 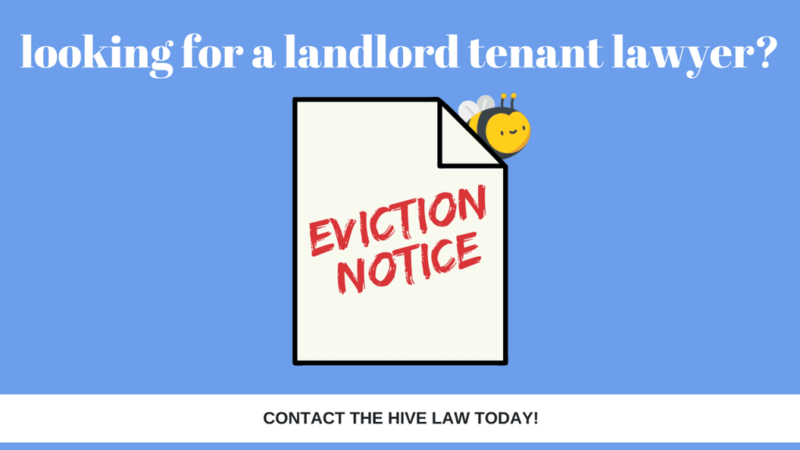 What If Tenant Refuses To Leave After Eviction Notice? Maybe your tenant still hasn’t paid rent and it seems like they’re going about their day like they never received the eviction notice. Sometimes this is the case, and it can be very frustrating to be the landlord in this situation– especially if you’re not in a landlord friendly state. In most cases, this is when you actually begin the eviction lawsuit process or dispossessory proceedings. Before you can legitimately evict the tenant, you must get a judgment from the judge. Without a court order, evicting your tenant would be called a “self help” eviction. This includes changing the locks or turning off the utilities to the property. Those a 100% not allowed in Georgia. So make sure you receive that court order! There are many types of investors within the real estate realm. Maybe you’re wholesaling, flipping, or into buy-and-holds. No matter what the avenue of investing, you’ll need an investor friendly real estate lawyer at some point during your career. The most common investors in need of real estate lawyer services are wholesalers. In Atlanta,Georgia, you need an attorney in order to do your real estate closing. Having an investor friendly real estate lawyer in your corner can make all the difference when it comes to having a respectable and professional business. Investor friendly real estate lawyers are helpful when you’re first getting started in the business. They will look over your purchase agreements to make sure everything is compliant within your jurisdiction. They can also explain the ins and outs of wholesaling deals– it’s in your best interest to do these deals legally and correctly from the get go! In short, real estate investors are typically involved in creative deals. Sometimes financing isn’t run-of-the-mill. The contracts aren’t always cookie cutter. The value you all add is usually based on how you can solve someone else’s problem, and that requires you to think outside of the box. Finding an investor friendly real estate lawyer that can help you with that is important, and we’re always eager to help our local real estate investors! Most legal services vary when it comes to cost. It mostly depends on how the firm’s lawyers decide to bill clients. I’m sure that many of you are familiar with firms that bill per hour. This is very common when you’re dealing with an uncommon or abstract real estate deal or issue. When a real estate lawyer is faced with an issue they’ve never seen before, it might take them a little time to do some research in order to best serve you. However, if you’re doing a run-of-the-mill kind of transaction, usually the real estate lawyer will opt for a set-fee. For example, the average closing attorney cost in Atlanta is about $500. Not all services are created equal, however, so it’s always in your best interest to ask your real estate lawyer Atlanta GA about their fees in your free consultation! There are many reasons why you’d need a real estate lawyer in Atlanta, GA. From traditional residential deals to creative transactions with investors … and everywhere in-between. [company_name] is here to help you accomplish your goals, purchase your new home, or help you with your rights as a landlord or tenant.